You must have seen people updating their status on WhatsApp as some text message, image, GIF or video. Many people like it and some hate it. 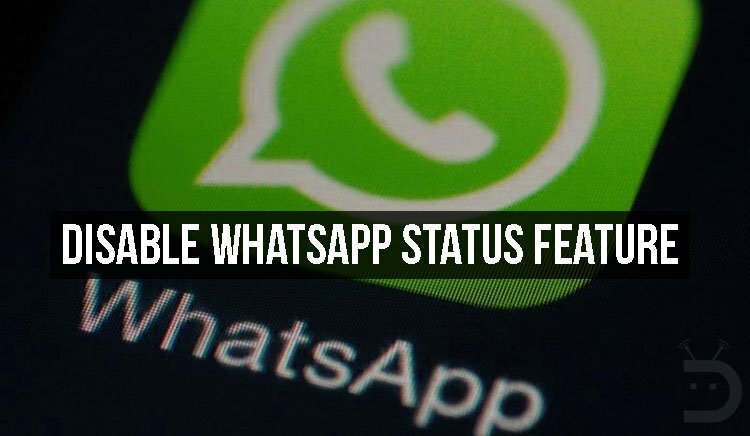 Since the release of this new feature, I have wanted to turn off or disable WhatsApp status feature and finally, there are some ways to hide the status on WhatsApp for Android using apps that require root. So WhatsApp rolled out a new Status feature a while back as everybody knows by now. The server-side update added a new Status tab between the Chat and Calls tabs. Under the Status tab, one can see the status updates of their friends and also update their own. These status updates vanish after 24 hours automatically, and if that sounds familiar, it’s because it is. Ever since Snapchat gained popularity, Facebook-owned apps have all been getting a bit inspired by the popular chat app. After adding a similar feature to the Facebook Android app, its companion Messenger app, and Instagram, a similar update to WhatsApp was perhaps inevitable. But not everyone uses Snapchat, and not everyone is a fan of this new WhatsApp ‘Status’ feature. You can turn off or disable the WhatsApp status feature, but there are a few problems. Since the update was a server-side update, the only people who can disable it really are the guys at WhatsApp. They did, however, use a locally stored status_mode variable to determine whether to enable or disable the feature until WhatsApp version 2.17.81. But as and how the feature became stable, there was no need for a switch, and thus it was removed. What this means is, if you want to have any hope of getting rid of the Status feature, you will need to uninstall your latest WhatsApp and install WhatsApp version 2.17.81 or older. Before you uninstall the latest version of your WhatsApp though, you should also be aware that the only known method works only if your Android device is rooted. 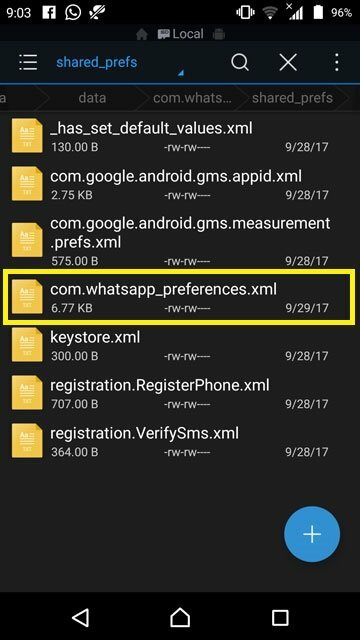 This is because a file named com.whatsapp.preferences.xml needs to be modified, and it is located in the root data folder. Of course, to access the file you will also need a file explorer capable of performing root operations. 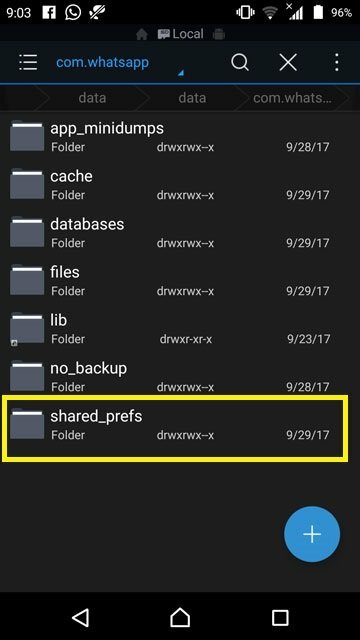 Any file explorer with root capabilities and a text editor will do. Or you can also make use of an app called Preferences Manager. The app too will require root privileges in order to work. Go to Settings > Apps > WhatsApp and hit the FORCE STOP button. If you’re using Preferences Manager, simply launch the app and grant it superuser permissions. Tap on WhatsApp in the list of installed apps, and you’ll be taken to com.whatsapp.preferences.xml automatically. Search for the key status_mode in the file. You’ll find a line of code that resembles the code below. Change the value from 1 to 0 so the code now looks as shown below. Save the changes you’ve made and exit the file. Make sure you don’t touch anything else inside the file unless you know what you’re doing. 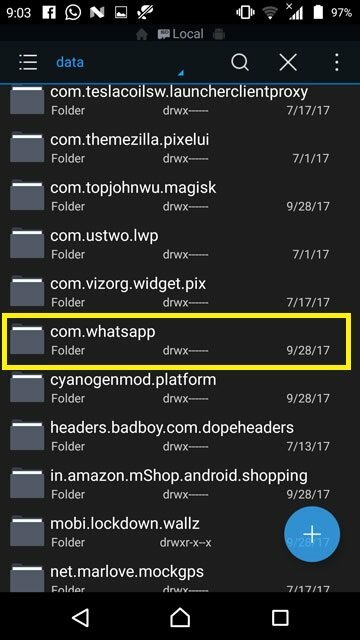 Once the file is saved, launch WhatsApp, and you should not see the Status tab anymore. If the above method doesn’t work for you, there’s a new simpler method that you could try. This method requires installing an additional app though which is why we recommend trying the method above first. The WA Tweaks app by Alex193a, can do a lot more than just hide the Status tab on WhatsApp though. If you love using WhatsApp, WA Tweaks is quite worth installing. The app isn’t available on the Google Play Store but you can find the WA Tweaks APK on the official website. The link is provided below. Download the appropriate APK according to the CPU architecture of your device, or download the universal APK if you’re not sure. When the download is complete, tap on the download complete notification and select INSTALL when the package installer comes up. On devices running Android Nougat and earlier, you’ll have to turn on the setting known as Unknown sources located under Settings > Security. With Android Oreo, Google has specified this setting to individual apps. This means only the apps that you allow can install APK files on your device. You can read more about it and learn how to grant apps the permission to Install unknown apps here. Even if you don’t enable this setting already, you’ll be asked to do so at the time of installation. Group Invite Link if it is not pre-activated. a new Home user interface which will allow users to check out the all-new user interface which is going to come on WhatsApp. all-new internal Video player which supports you if you are not having the video player on your phone. GIF Search which helps you to search for the GIF in the emoji tab and will allow in just one click. Increase the documents sending limit to 999 MB. As you can see from the extensive feature list above, the app can do quite a lot. We’ll only be focusing on hiding the Status tab here since that’s what we’re here for. Launch WA Tweaks and head to the Customizations tab on the bottom. It is the third tab from either side. Under the Main UI heading, you’ll find toggles to turn on or off all tabs in the WhatsApp app, hide only the Status tab, hide Status and Calls tabs and hide the Archived chats button. 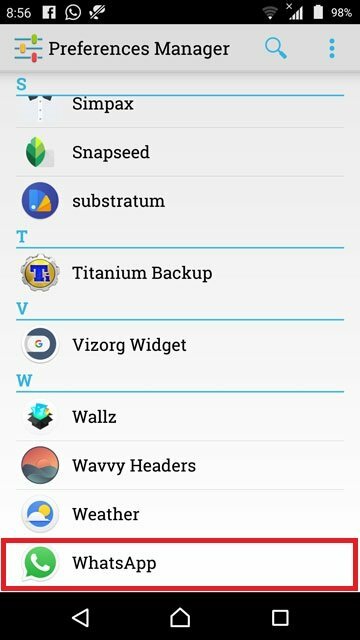 Keep in mind these options are available under the ROOT tab which can be accessed from the top. 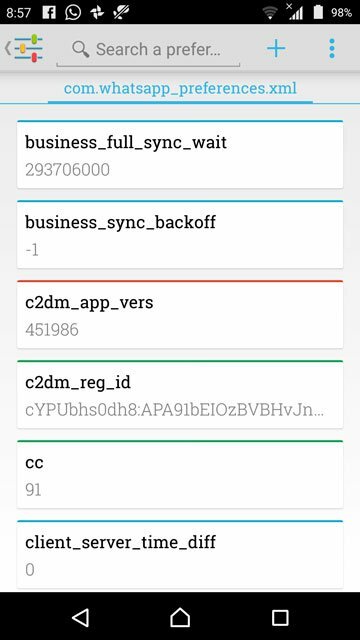 The app offers many more features if you have the Xposed Framework installed. Therefore, you’ll find the features in each category divided into at least two tabs, ROOT and XPOSED. It is advisable to not mess with things you have no idea about. Also, when increasing or decreasing values, try not to change the limits a lot. For instance, the default document size limit is set to 100MB. If you need to increase it, it would be a good idea to not change that to a 100GB. Unless you’re open to experimentation and a few app crashes. If you have a rooted Android device, you can install the Xposed Framework on it and then use a module called WhatsApp Extensions to hide or disable WhatsApp status.